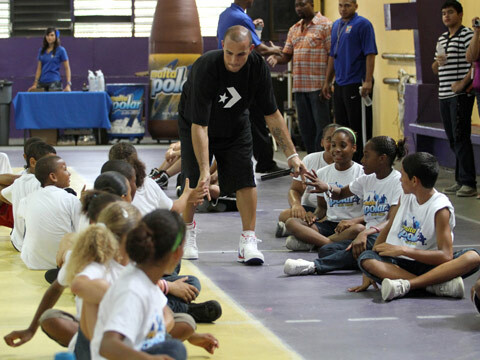 The Converse Blog: Carlos Arroyo with Converse and where I can I get that shirt? 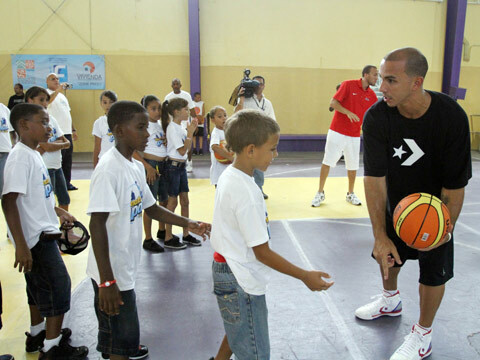 Carlos Arroyo with Converse and where I can I get that shirt? Okay, seriously. Why is this shirt not on Converse.com. It's a simple logo shirt, but the chevron and star work perfectly. As a matter of fact, you won't find the Chevron and Star on any of the apparel on Converse.com. Hopefully this will be fixed very soon. 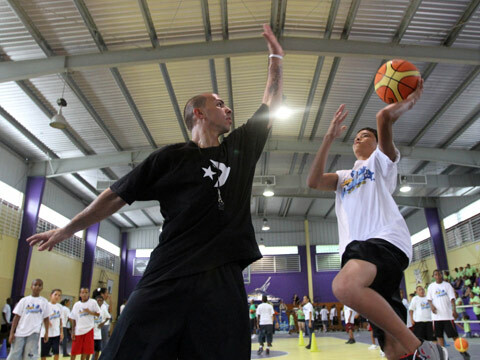 More Good news, Carlos recently resigned with the Miami Heat, so there will be at least one Converse player on the Heat. I still have heard if Udonis Haslem has resigned with Converse or not. Thanks for checking out the blog, and as always follow along on twitter, @TheConverseBlog. 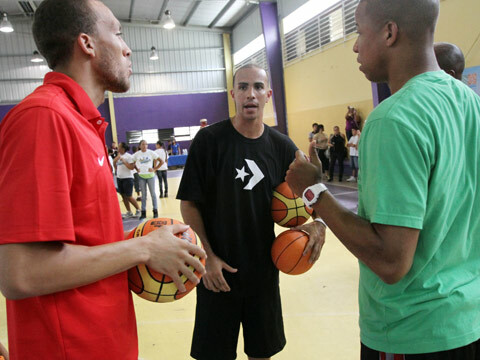 I know right I hope we will some more basketball type clothing!